Raw concrete covered with brick. The holes are from anchors to hold the stone to the facade. 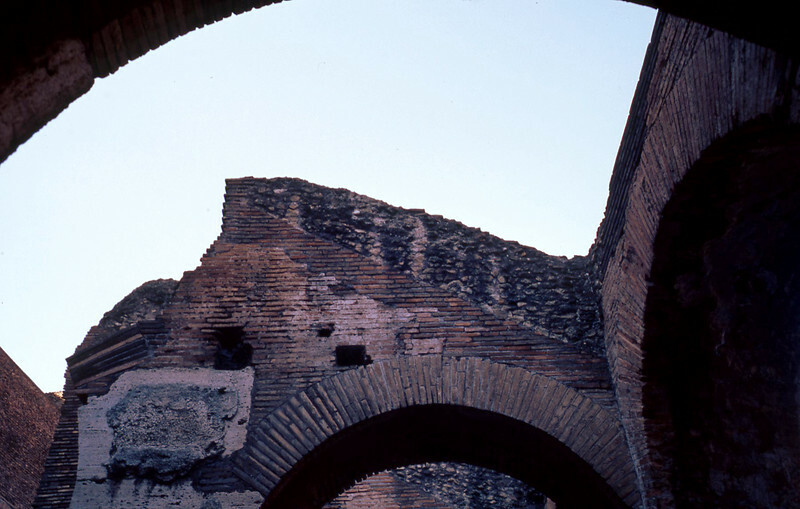 The brick arches were built to be self-supporting structure, with the concrete for the rest of the wall poured in after the brick "forms" were in place.